The 71st British Academy Film Awards on Sunday night in London, almost the final event of the Awards Show season, echoed the sentiment at the Golden Globes last month in Los Angeles. Almost all the actresses wore black as a sign of solidarity with the Time’s Up movement and many of the men and women wore the organization’s pins in support of the cause. Similar to the stunning and individual jewels paired with the black dresses in Hollywood, the stars in London sparkled with some sensational pieces. Angelina Jolie wearing 32.98-carat diamond earrings by Graff. 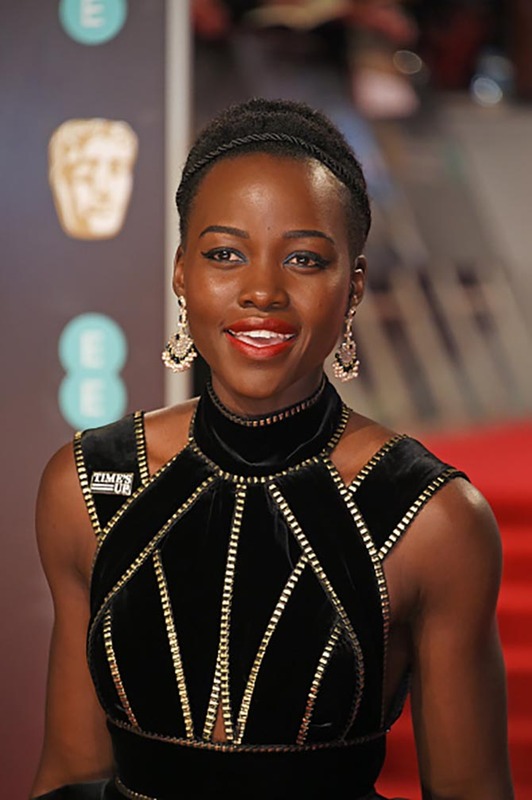 Lupita Nyong’o in sapphire, pearl and diamond fan-shaped earrings by Sanjay Kasilwal of the Gem Palace. Jennifer Lawrence wore pendant earrings and huggies in her multiple ear piercings. Margot Robbie in 18.75-carat diamond and platinum Harry Winston earrings. 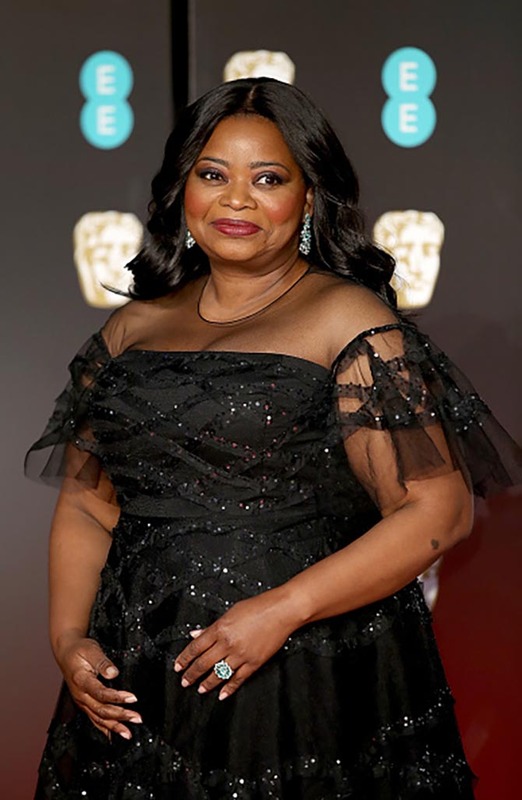 Octavia Spencer in Chopard jewelry. 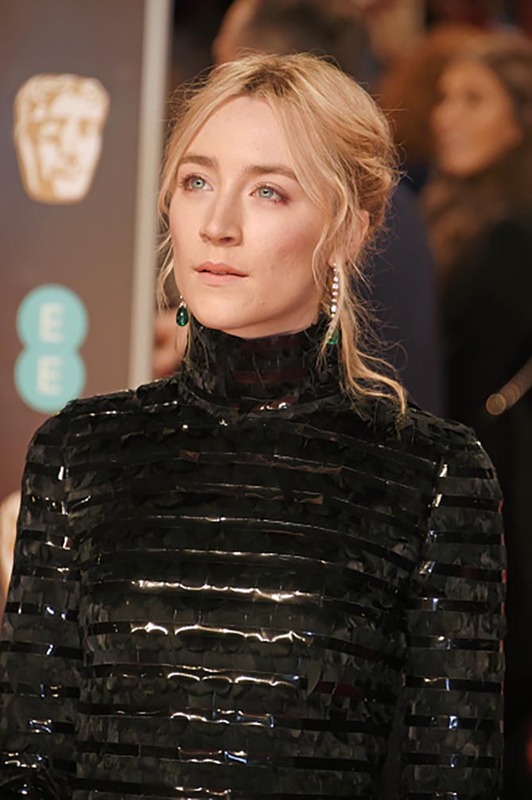 Saoirse Ronan in Cartier High Jewelry emerald, diamond and platinum earrings. Emma Roberts in Jennifer Meyer Four Circle Drop gold and diamond earrings.